Facing a few weeks of overtime at work means one thing for me: lots and lots of food preparation! When I know I’ll be home late and rushing in the morning, I prepare snacks and meals at the weekend to get me through. This week I’ve been craving something sweet and easy to make so I dreamt up this recipe and it tasted even better than I had imagined. These truffles are reminiscent of those you would buy in a gourmet confectionery shop and certainly will not make you feel deprived if you are following a gluten, grain and refined sugar free diet like me. The biggest problem was trying to exercise self-control not to eat them all in one sitting! They are a good energy-booster to have with a cup of tea when I’m busy and are a big hit with all the family-even those on a “normal” diet. 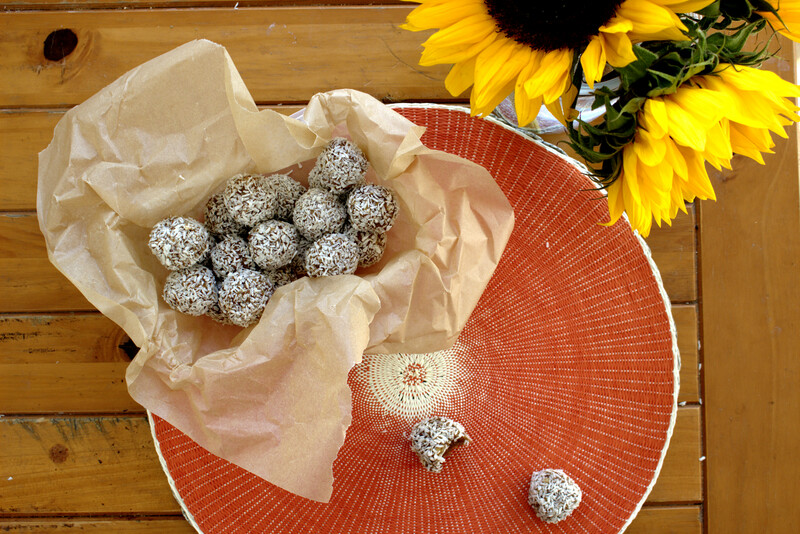 I made these with organic Medjool dates from my local health store which were quite small in size. If the dates you find are very large then you won’t need as many as I used. 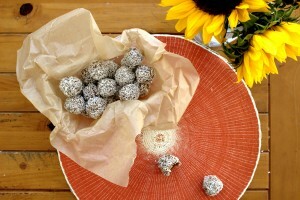 Delicious truffle balls that are so decadent and rich you won't believe they are good for you! 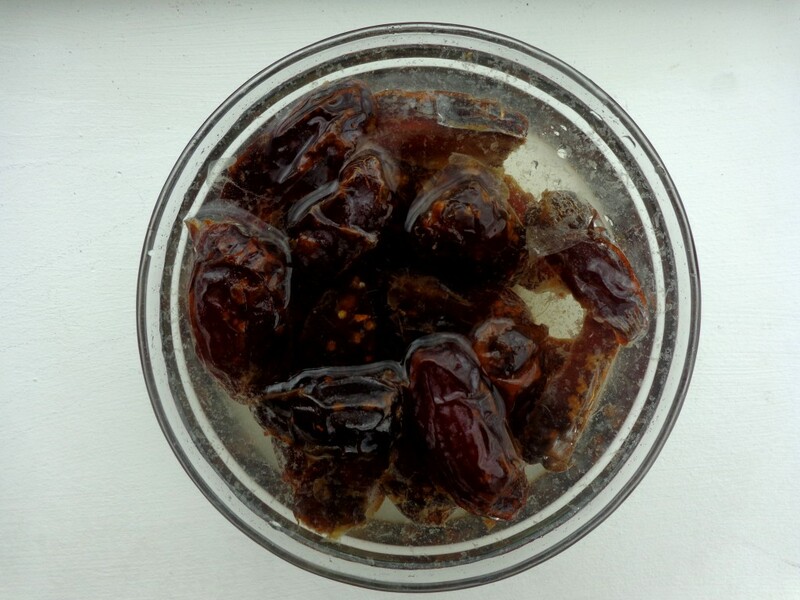 Place the dates in a bowl, cover with water and allow to sit for 30 minutes. 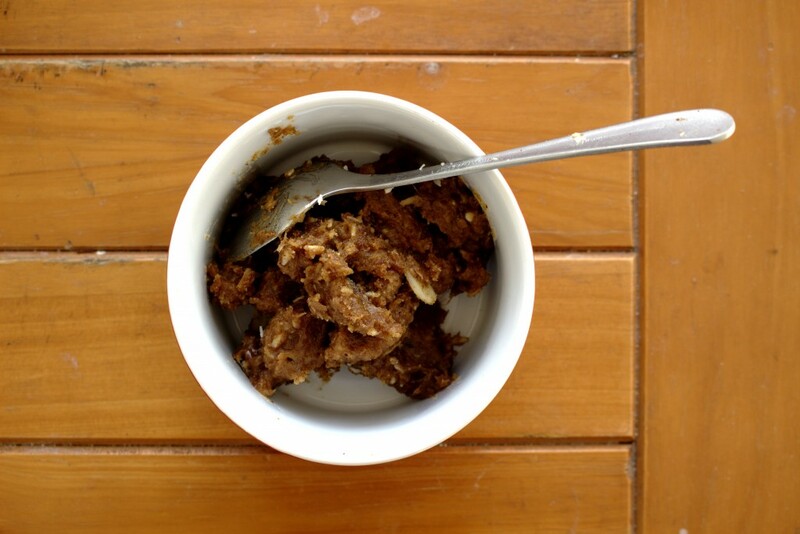 Drain the dates and place in a powerful blender with the almond butter and flaked almonds. Blend for a few minutes until a paste is formed. It's ok to have bits of flaked almond left as this adds to the texture. Place the desiccated coconut on a plate and using a spoon scoop out small amounts of the date mixture. 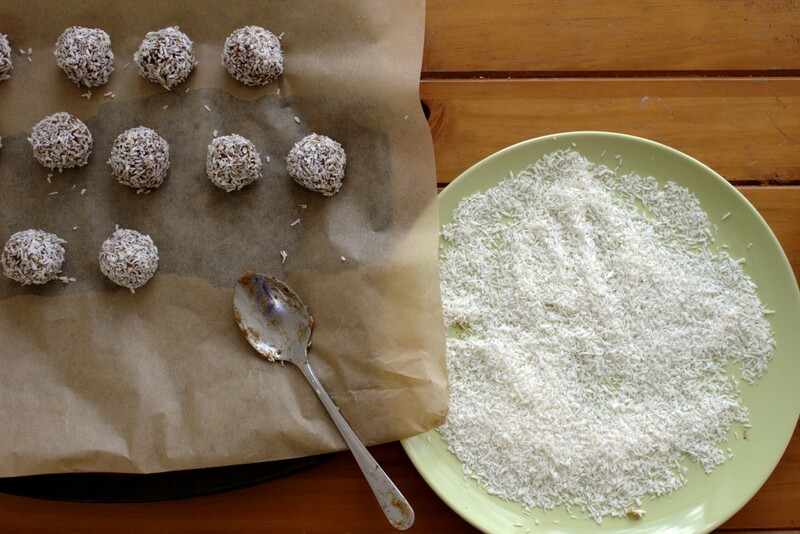 Make the mixture into balls and roll between the palms of your hands. 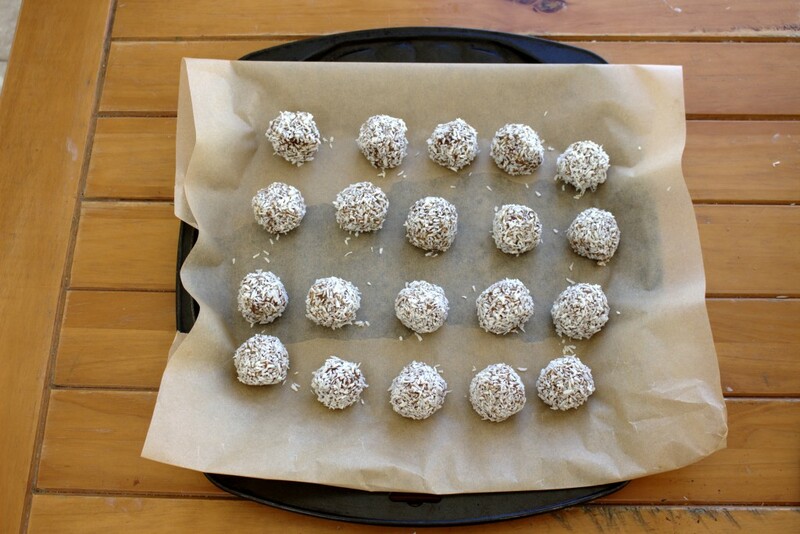 Roll each ball in the desiccated coconut. I find it best to refrigerate them a little before eating so that they firm up even more but this isn't necessary. Keep in the fridge in an airtight container.